Buy More Wired Stretch Metallic Mesh Save More! Metallic mesh ribbon has wired edges and is made of soft fabric. Ribbon is made of 55% metallic and 45% nylon. 2-3/4" x 25 Yard Roll. 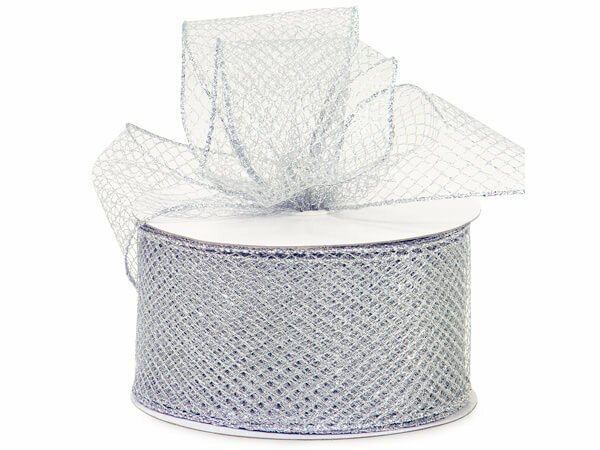 Wired Stretch Metallic Mesh Ribbon is beautiful for everyday or seasonal packaging. Makes beautiful decorative bows. 45% Nylon and 55% metallic threads, this ribbon is very soft and easy to use. This ribbon's width will stretch, however the length does not.